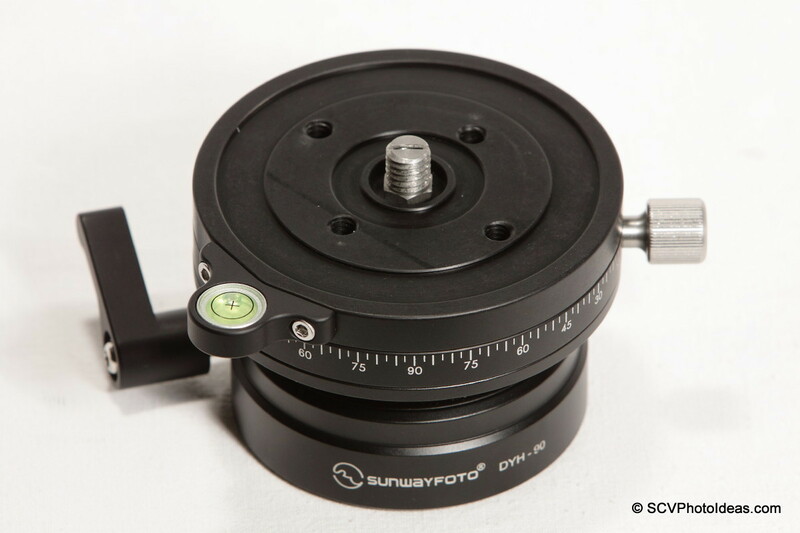 About a year ago Sunwayfoto had introduced their mid-sized DYH-90 and DYH-90R Leveling bases combined with their Discal Screw-Knob and large Duo Lever/Screw-Knob Release clamps. Both models were then reviewed in Sunwayfoto DYH-90 Leveling Base Review and Sunwayfoto DYH-90R Leveling Base Review respectively; while I was left under the impression that the stand alone (meaning without a quick release clamp bundled) versions had also the same improved characteristics. A fact which left me then wondering why they were not bearing the "i" for improved along the model name. Somehow, it seems that until early December 2013 when the "i" models were announced, the models being marketed without a QR clamp were still the older versions. Anyway, now all models of DYH-90i and DYH-90Ri Leveling Bases in the market, including the stand alone and the bundled with a Quick Release clamp versions, feature the same improved characteristics over the older non "i" versions. In short, major improvements constitute of a lighter weight, increased load capacity and the four (4) obvious mounting holes on their top platforms. As a plus we get a lower price tag! For more information and comparison tables please visit the original reviews mentioned in the Referenced Articles section below. 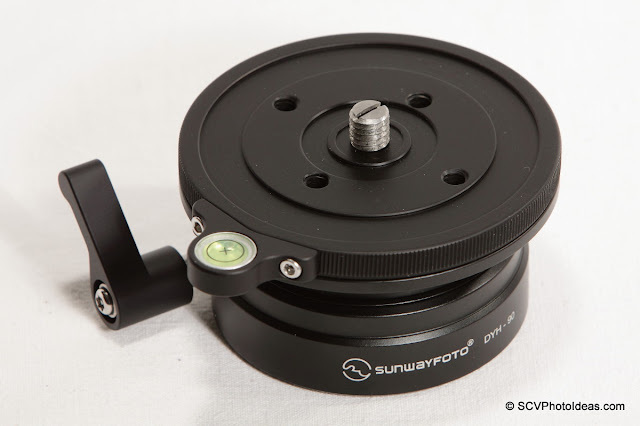 Sunwayfoto DYH-90Ri Leveling Base with a Panning top platform. The DYH-90 series of Leveling Bases are strongly built intended for heavy loads. They can cope with offset mounted heavy gear without effort, locking almost anything within their angle range. In this respect, they are perfect for medium-format 6 X 6, 6 X 7 or large format 8 X 10 cameras. I hope you found the news useful, thank you for viewing.